Looking for the perfect Father's Day gift for the father of twins in your life? Oh, this laser made wooded heart keychain is totally Adorable! 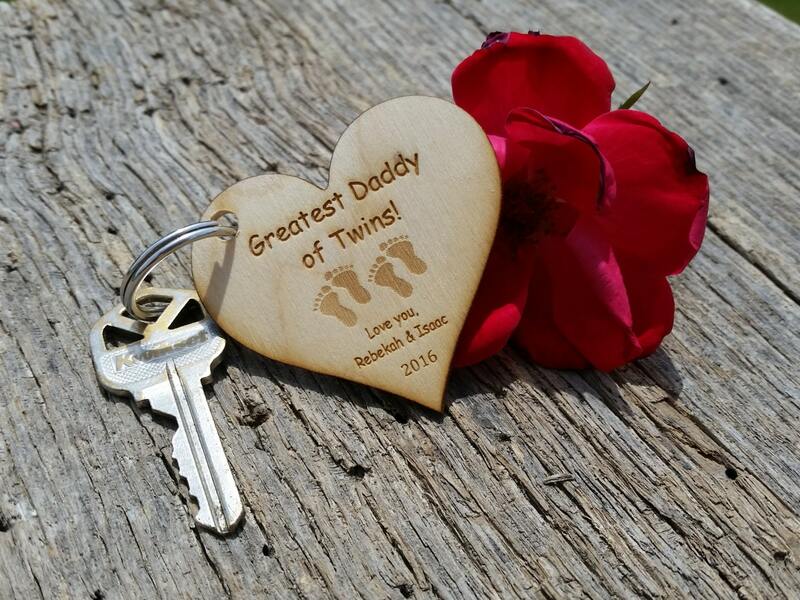 Custom engraved with your choice of words would make a perfect gift for the father of twins, for Father's Day, Birthday or the holidays.